Internationally acclaimed GRAMMY Award-winning musicians Alabama Shakes and Ben Harper will join the extraordinary line-up for the Tibet House US 30th Anniversary Benefit Concert Celebrating Philip Glass's 80th Birthday on March 16th at Carnegie Hall in New York City. 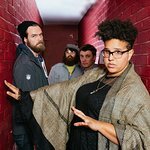 Chart-topping band Alabama Shakes will grace the Tibet House US Benefit Concert for the first time with their ground-shaking brand of rock ‘n’ roll. Their celebrated 2012 album Boys & Girls and latest album Sound & Color have earned the band multiple GRAMMY Awards, critical praise, chart-topping success and countless accolades. Musician, songwriter, guitarist, producer and activist Ben Harper will light up this special evening with his world-class musicianship and signature blend of blues, folk, soul, reggae and rock which draws throngs of fans to his live shows all around the globe. Ben is currently touring the world with his original band, The Innocent Criminals, supporting their latest release, Call It What It Is. Artistic director and curator Philip Glass will also be joined by Laurie Anderson, Iggy Pop, New Order's Bernard Sumner, Phil Cunningham, and Tom Chapman, Patti Smith and her Band, Sufjan Stevens, Tenzin Choegyal and Jesse Paris Smith, Scorchio Quartet, Lavinia Meijer and more. In addition to celebrating Glass’s 80th birthday, the evening will also honor 30 years of Tibet House US. It’s sure to be another jam-packed show full of amazing music and one-night-only collaborations in what has been a series of unforgettable concerts spanning three decades. Proceeds support the work of Tibet House US, a non-profit educational institution and cultural embassy founded in 1987 at the request of His Holiness the Dalai Lama to ensure the survival of the unique Tibetan civilization. Uma Thurman, Chuck Close, Maggie Gyllenhaal, Peter Sarsgaard and Arden Wohl are Honorary Chairpersons. 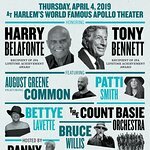 Tickets for the concert are on sale now ($35-$200) – visit www.carnegiehall.org to purchase, or call Carnegie Charge at 212.247.7800, or visit the Carnegie Hall Box Office (57th Street and Seventh Avenue). Also available now are special gala packages starting at $500 that include prime concert tickets and an elegant dinner reception with the performers and a who’s who of New York City society. To purchase these packages, visit www.tibethouse.us or call Tibet House US at 212.807.0563.